How do you prepare for Lent? After all, I’ve always thought of Lent as a time of preparation for Easter, so hmmm, what might it mean to prepare for preparing? For 2017, Lent begins officially with Ash Wednesday on March 1, then lasts until the Lord’s Supper on Holy Thursday or some say until Holy Saturday. Either way, the Lenten focus on repentance, suffering and death gives way to the celebration of resurrection and new life on Easter Sunday, April 16. While the dates for Lent and Easter shift from year to year according to the timing of the March equinox, the seasons of Lent and Easter come each year just as surely as Christmas comes on December 25. As I reflect on this year, I realize that I’ve been preparing for Lent in some specific ways. Lent points forward to springtime for the soul. A year and a half ago, I signed a contract with Abingdon Press to write a Lenten Bible study for 2017 based on the Revised Common Lectionary. 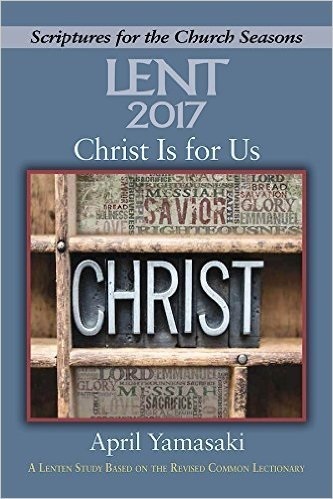 For the next months, I steeped myself in the scripture texts designated for the Sundays of Lent and Easter 2017. I wrote short reflections on the Hebrew people in the wilderness, Jesus’ temptation, the raising of Lazarus, Paul’s letter to the Romans, and other Lenten and Easter texts. I added in discussion questions and group activities. I loved living with those lectionary texts, and you can now order the book in time for Lent from your regular book store, or online for paperback, large print and e-book formats. I was delighted to learn that one church in North Carolina has ordered 125 copies (! ), and I pray that the book will deepen their relationship with God and their experience of community together. I’m also preparing to lead a Saturday morning small group experience for three weeks during Lent based on Christ is for Us. If you’re in the Abbotsford area and interested in taking part March 11, 18, 25, 9 – 10:15 am, please let me know. I’d love to hear from you! Instead of subtracting something, some choose to observe Lent by adding a simple spiritual practice. For the last few years, I’ve tried to add a walk to the mailbox as a daily expression of attentiveness and spending time with Jesus. I’m still not as consistent with that as I’d like to be even during Lent, so I’ve decided to re-commit to that again this year. This year I’m also preparing for Lent by thinking about something to give up. I’ve thought about giving up listening to my car radio (which I’ve done before), potato chips (one of my favourite snacks, but I haven’t had any for weeks now), chocolate (which I tend to eat only on social occasions anyway). For now I’m still thinking about what I might give up for Lent. . . .
How about you? Are you preparing for the coming season of preparation? How are you preparing for Lent this year? 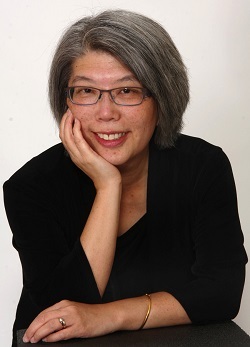 April Yamasaki is lead pastor of Emmanuel Mennonite Church in Abbotsford and has written several books. This reflection from her blog is re-posted by permission.